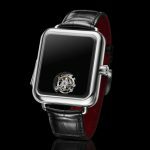 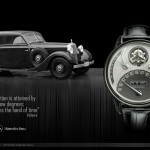 The Avenger Vertical Tourbillon Watch is a design study of a vertical tourbillon concept watch and has been made to pay the tribute to Italian bull. 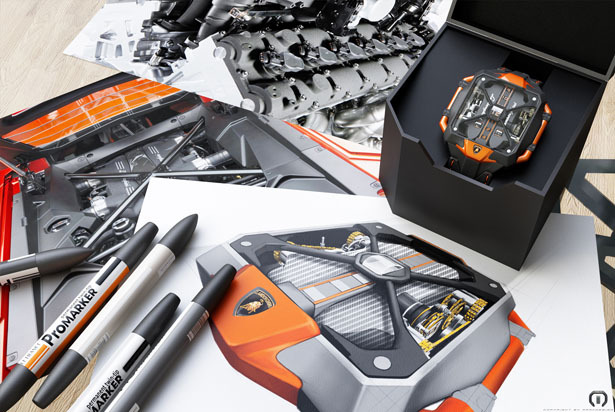 The design language follow the existing Lamborghini Aventador, taking inspiration from the rear part-open space engine area, transferring it all in to an unusual timepiece. 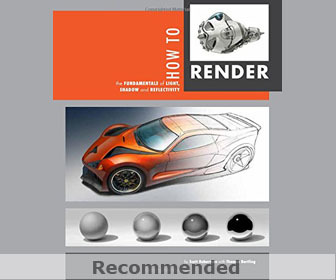 The main idea was to transfer that sophisticated but still highly aesthetic engineering into something other than vehicle but still close to it. 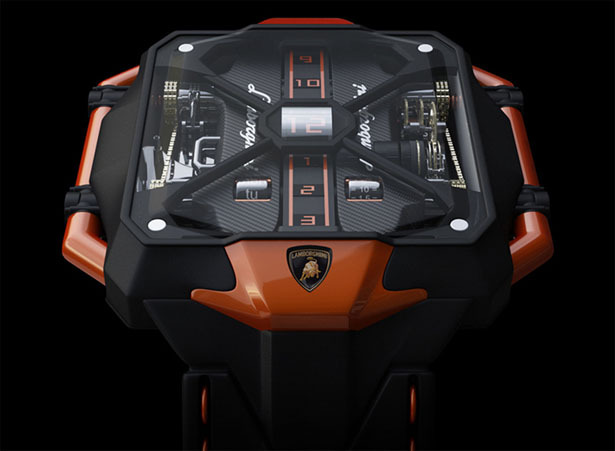 Vertical tourbillon mechanism seems perfect in this case, following the design in presenting not only something that looks like a cover of a Lamborghini engine, but also represents a glimpse of Lamborghini engine technology. 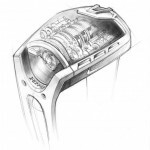 Avenger Vertical Tourbillon Watch displays the complexity of this vertical mechanism. 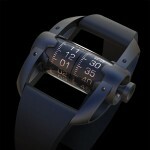 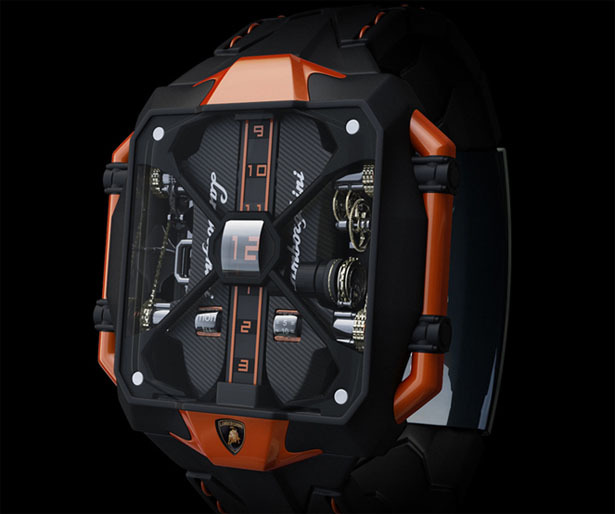 The main feature of this watch is the imitation of an engine roll bar (same as in aventador) that in this case, it is located at the central loop glass, to display the hours. 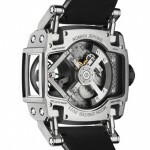 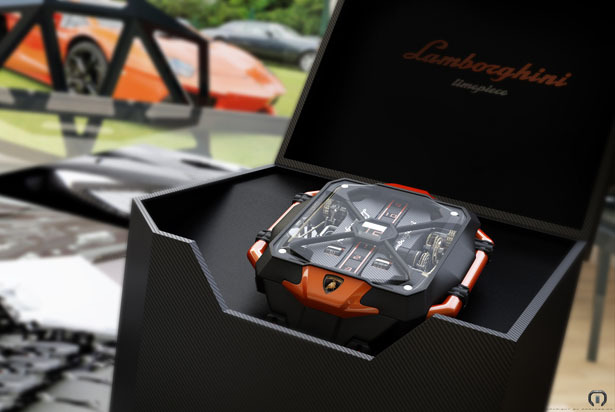 At the same time the case of this watch has been designed to represent something that is obviously Lamborghini, with strong edges and combination of black and orange (aranchia) colors. 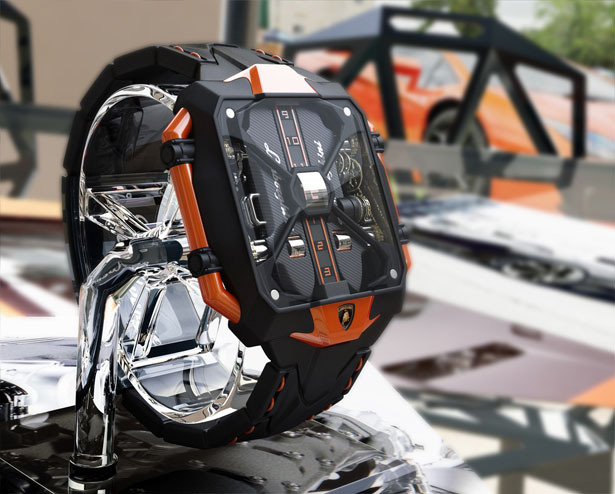 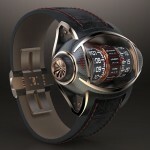 Tuvie has received “Avenger Vertical Tourbillon Watch Concept” from our ‘Submit A Design‘ feature, where we welcome our readers to submit their design/concept for publication. 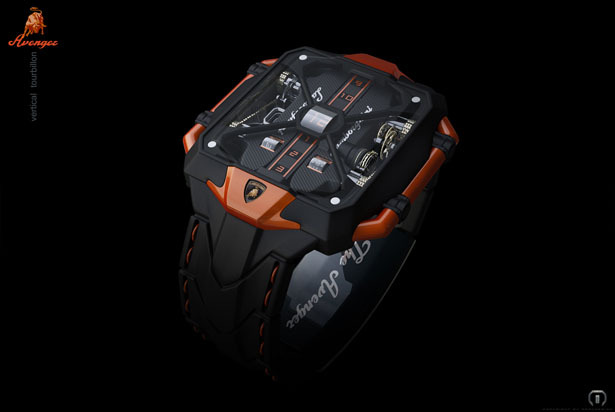 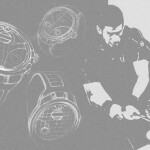 Tagged as Aventador, central loop, Concept, design feature, design language, engine, engine technology, mechanism, Tourbillon, tourbillon watch.